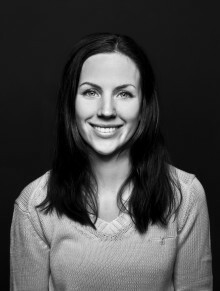 Karianne Svendsen helped 20,000 Norwegians measure their cholesterol levels at pharmacies. Her PhD thesis looks at the effect of pharmacy-screening on health behaviour and cardiovascular risk. One out of ten pharmacy-screened individuals had hypercholesterolemia without knowing. Assessing risk factors in pharmacy can possibly lead to a decrease in cardiovascular risk. Alerting people to their screening results does not seem to be more effective than a self-directed approach. (3) Pharmacies have large potential as a source to identify individuals who are not aware that they have high cholesterol levels. 20,000 individuals were screened at community-based pharmacies over the course of two years, and 10 % had elevated total cholesterol. The screened participants were a representative sample of the Norwegian population. The article is currently under peer-review and has not yet been published. (1) A short food frequency questionnaire (VISA-FFQ) was developed from the NORDIET-questionnaire. VISA-FFQ was validated by comparing reported intake of dietary 15:0 milk fat with whole blood biomarker 15:0 in 307 participants, and the correlation was significant. Furthermore, 122 participants anwered the VISA-FFQ twice with a 4-week interval, and the reproducibility for intake of several foods and lifestyle factors was acceptable. (2) Alerting screened persons with increased cardiovascular risk is not more effective for improving risk than not alerting them. In a randomized controlled study, Svendsen and colleagues screened 1318 individuals at 48 community-based pharmacies for several cardiovascular risk factors. 582 of them had increased cardiovascular risk and were included in the trial. One third was alerted to their increased risk and adviced on healthy behaviours to reduce the risk, another third received advice only, and the last third (the control grou) was neither alerted nor adviced. The cardiovascular risk decreased in all the three groups within eight weeks. The decrease was larger than what can be explained by regression to the mean. There was a trend towards less improvement in the alert&advice group, compared to the control group and the advice only group. The beneficial changes were accompanied by changes in health-related behaviours. 65 % participated in the one-year follow-up, and by then the use of preventive medicine like statins, antihypertensives and anti-diabetic medication had increased to 14.1 %. Moreover, 79 persons were excluded prior to randomization and referred to physician because of very high risk factor levels, highlighting the potential benefits of pharmacy-based screening for cardiovascular risk. (1) Svendsen, K., Henriksen, H. B., Østengen, B., Jacobs Jr, D. R., Telle-Hansen, V. H., Carlsen, M. H., & Retterstøl, K. (2018). Evaluation of a short Food Frequency Questionnaire to assess cardiovascular disease-related diet and lifestyle factors. Food & nutrition research, 62. (2) Svendsen, K., Telle-Hansen, V., Mørch-Reiersen, L. T., Garstad, K. W., Thyholt, K., Granlund, L., Henriksen, H. B., Gran, J. M., Jacobs jr., D. R., & Retterstøl, K. (2018). GFA randomized controlled trial in Norwegian pharmacies on effects of risk alert and advice in people with elevated cardiovascular risk. Preventive Medicine Reports. (3) Svendsen, K., Jacobs jr., D. R., Røyseth, I. T., et al. (submitted). Pharmacies offer a potential high-yield and convenient arena for total cholesterol and CVD risk screening.